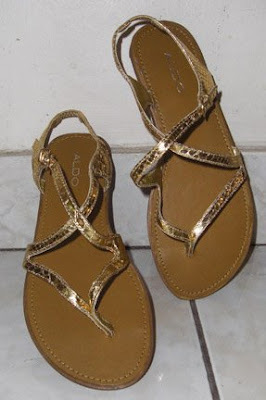 Gold faux snake skin strappy flat sandals from Aldo. 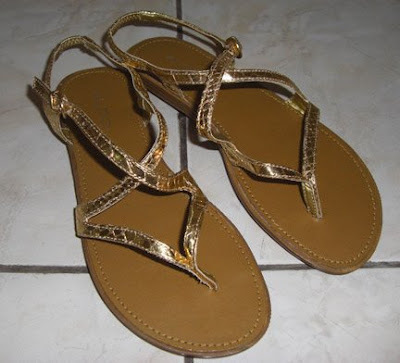 Worn for maybe 10 mins before deciding I didnt like it anymore. Practically NEW! I havent even stepped out of the house yet.